JEA have created sleek, stylish and practical designs with your storage problems solved. 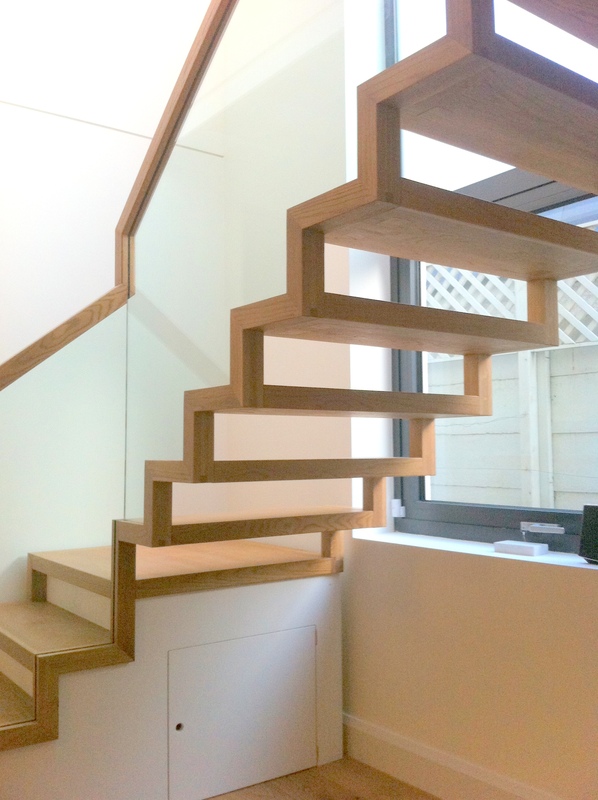 We are following the company ethos of producing high end modern staircases. 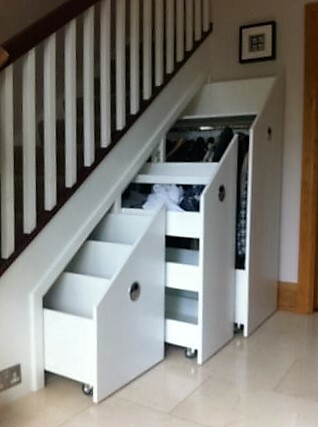 By creating storage space in your stairs, it is possible to continue with busy day to day life without sacrificing on style. Our expertise in design have allowed us to come up with original ideas to hide away clutter and enjoy the minimalist style we all love. USS have been designed with busy family life in mind. Call us for more details, delivering to all of the UK and Europe. 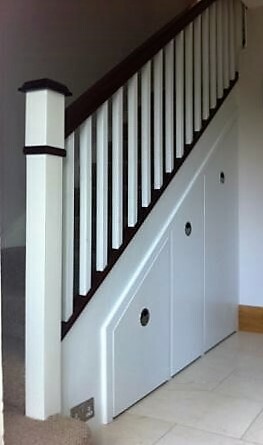 Practical storage, to hide away clutter giving you a sleek finish, in a very traditional design. 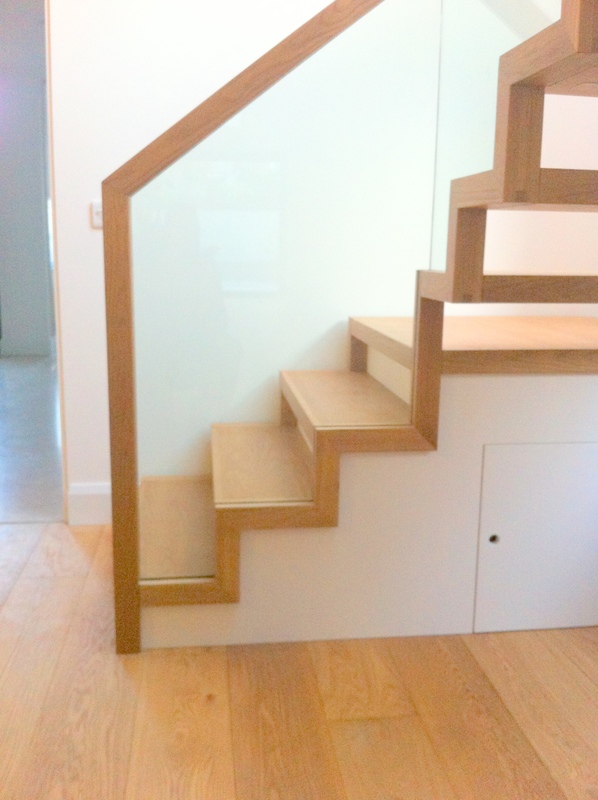 An example of a modern stairs with some storage for practical reasons.